Hello and happy Saturday! I am really looking forward to this weekend, I plan to have a lot of fun working on projects to share with you in the future. As for today, I have this card I made a few months ago with the Fox & Friends stamp set. This card was really fun to make, it took a while but I love how it turned out. I hope it inspires you to make a card today! 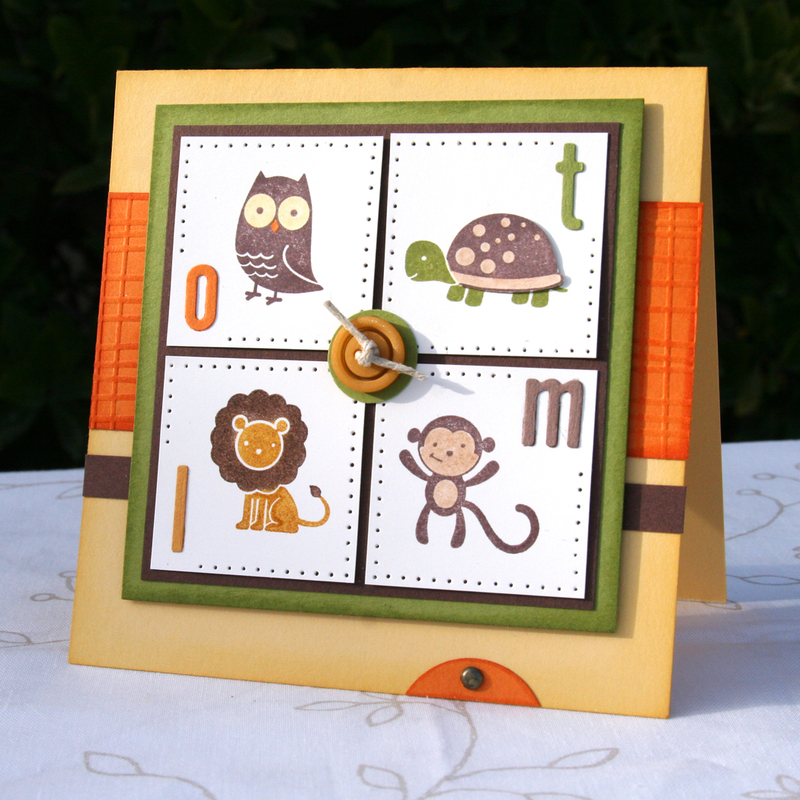 Current supplies can be purchased on my Stampin’ Up website. This card is so adorable! I love it! I just found your blog from Stamp With Heather and this card was the first card I seen! It is so stinkin’ CUTE! I just subscribed to your blog! I will have to go back and look to see what ALL I have missed! Thanks for sharing an adorable card! This is SO cute! I”m glad I signed up for your newsletter! One question since i’m a newbie…well maybe two questions! LOL One is…what size is this card? I’ve noticed some cards this size and they look different from the average and is there and envelope to FIT it?